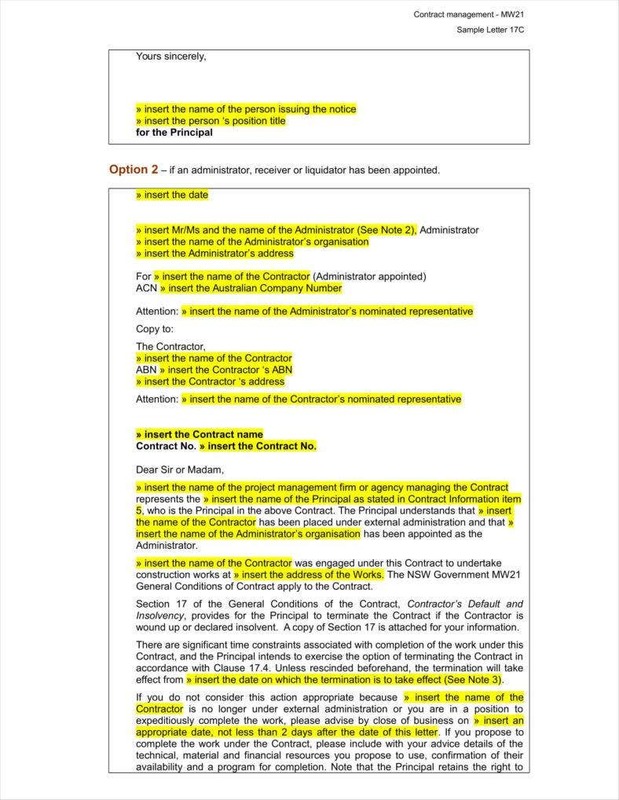 Any agreement obliges the contracting parties to abide and comply with its terms and conditions. 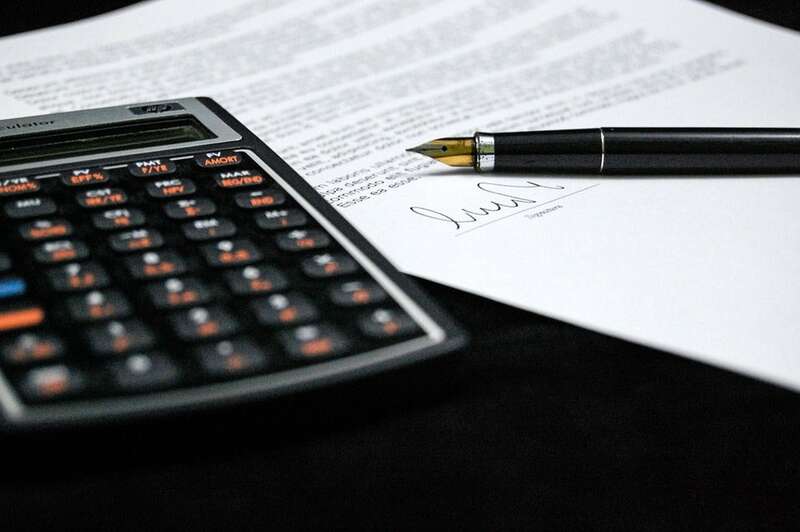 Written agreements and contracts safeguard the rights of the parties involved and ensures that their agreed conditions and obligations are performed in good faith. However, agreement cancellations and terminations are not new in the course of business transactions. It is inevitable because of the subjective nature of businesses or personal relationships and the diversified dynamics of contracts and agreements. In line with this, State laws pertaining to obligations and contracts emphasize that contracting parties must provide due notice in cases of termination. Aside from the grounds for a valid termination of an agreement provided by law, the parties to the contract themselves can stipulate their own grounds for termination as long as it is not contrary to law, morals, and public policy. 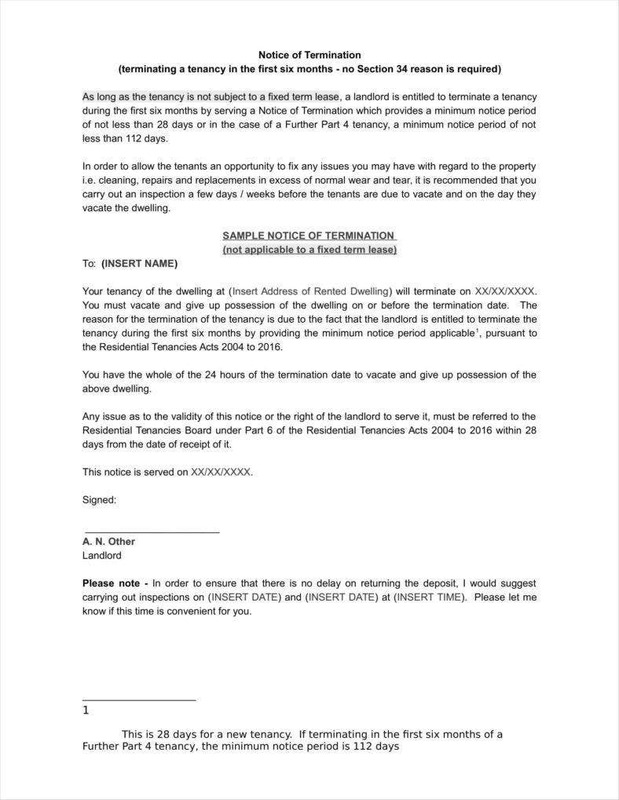 One of the critical documents required in cases of terminations is a termination of an agreement letter. 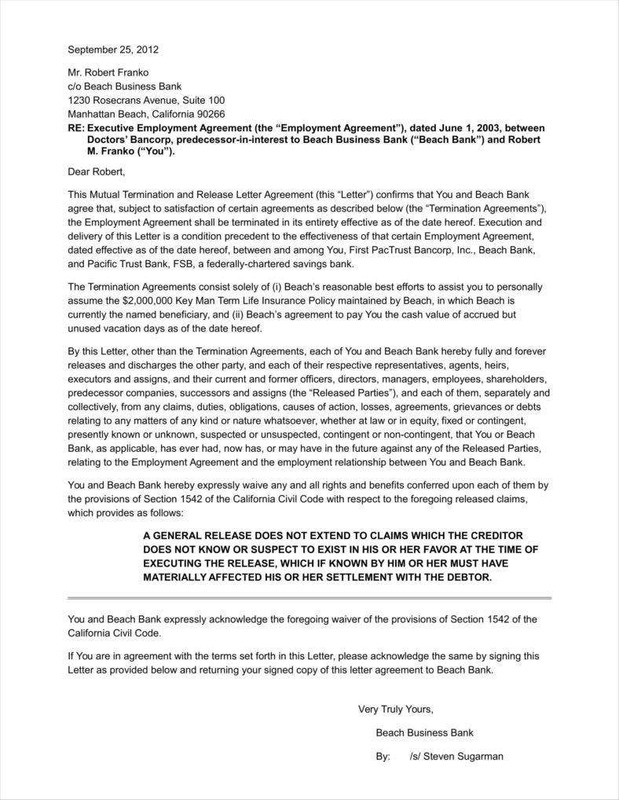 This letter is legal by nature since it enables a party to validly terminate an agreement and the other party to receive due notice and reasonable explanation for such decision. To power-up your writing skills in preparing for an agreement termination letter, you may learn from the following guidelines, writing tips, and templates. the letter’s date of issuance. The following elements are pertinent so that it will be convenient and easy for the recipient to send their reply or response accordingly. After the formal salutation, the body of the letter emphasizes the core messages that you want to convey. This is where you will explain, discuss, and substantiate your claims and why you end up with such decision. To make your letter more coherent and substantive, you can divide it into sections or paragraphs. In here, you may provide a brief background about the context of the agreement. 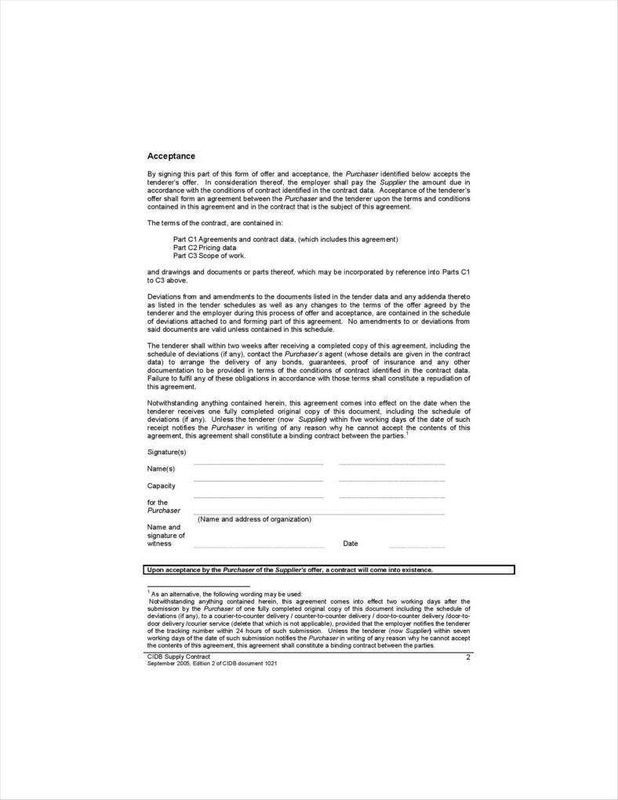 You may specify the type of agreement that you’ve entered with the recipient and the scope or coverage of such agreement. After providing the context, you can start citing your intention of terminating such agreement. 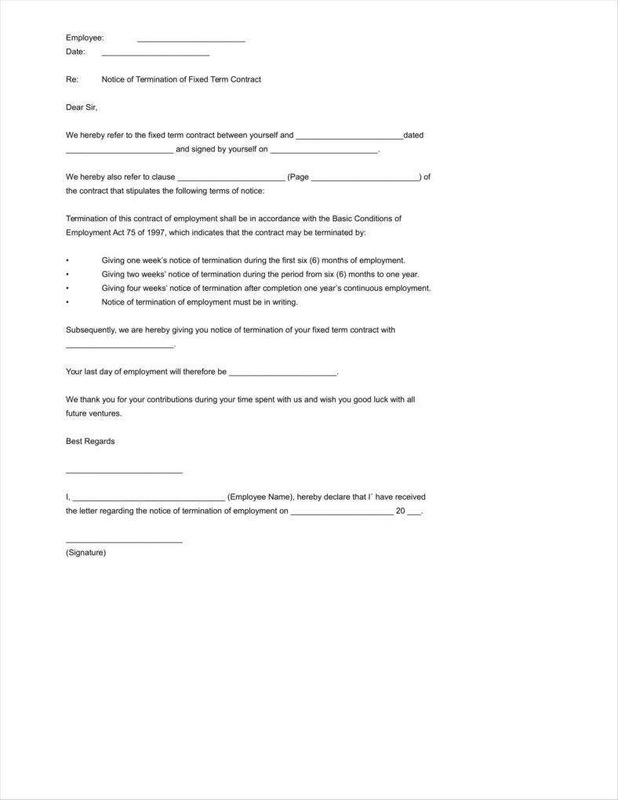 This is where you will discuss the what and whys of your termination letter. It will be frustrating on the recipient’s end if he or she will not fully understand the grounds and reasons behind the said termination. It would be a violation of due process that each contracting party deserves to have. Depending on the type of agreement, the grounds must be well-cited accompanied by the factual circumstances that support it. In the later part of the discussion, there will be a breakdown of common types of contractual agreements and some frequently cited causes for terminating the same. Following the substantive part of the said letter of termination, you can add additional reminders and concerns that are relevant and beneficial to both parties. 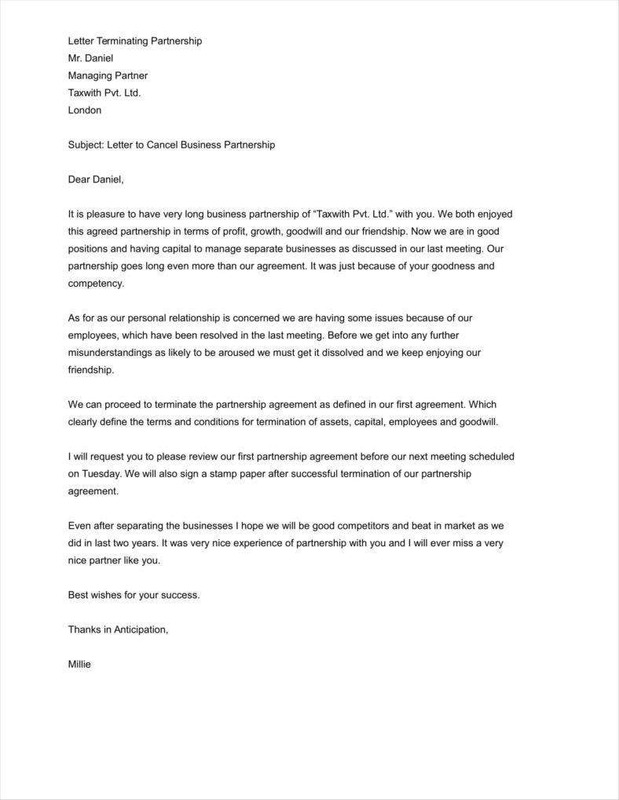 Bear in mind that despite of your intention to put an end to such agreement, you should still gracefully and professionally maintain a sound relationship may it be with your business partner, employee, customer or client. Aside from this, there are still other relevant concerns that you can include with respect to the type of contract you’re currently dealing with. The employment contract or employee agreement binds the employer and the employee to a certain obligation and observance of rights. It safeguards both parties against arbitrary decisions and abuses. It is undeniable that under the law, employers have the management prerogative to engage applicants and at the same time dismiss or fire employees provided that the grounds for termination are authorized and just. The preceding grounds are some driving forces that give employers the right to terminate an employment contract provided that the substantive and procedural due process requirements are followed by them. Furthermore, labor laws and termination procedures vary from country to country and thus due diligence must be exercised by employers before drafting termination letters. In the world of business, it is inevitable that business agreements become obsolete or is rendered as ineffective due to various reasons such as the commission of fraud or breach by one party or the due expiration of the contract terms. In writing a business termination letter, one has to bear in mind that you’re dealing with a businessperson or entity. Even if your contract with him or her is about to end, you should still factor in the probable business ventures and dealings that may transpire between the both of you in the near future. happening of fortuitous event or occurrences that are beyond the control of the lessee and lessor and subsequently rendered the lease contract ineffective. 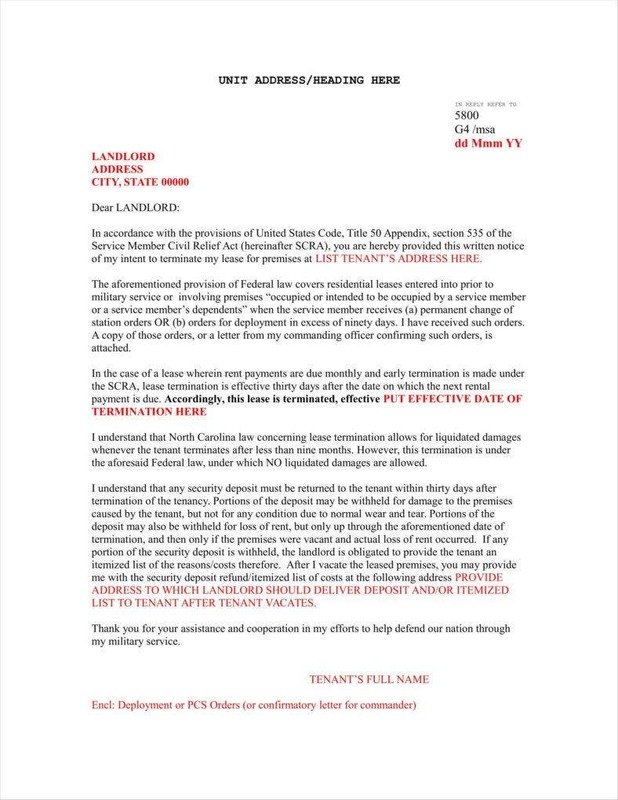 These are some reasons that warrant a lease termination letter. 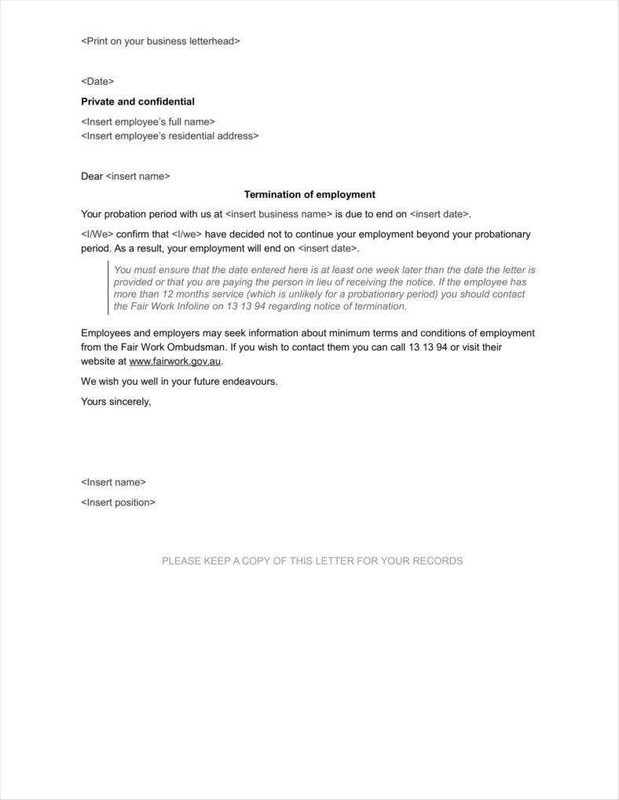 Furthermore, this type of letter should address relevant information and details about the termination such as the effective date of termination, the grounds for termination and the supporting details, the names and contact information of affected parties and many more. 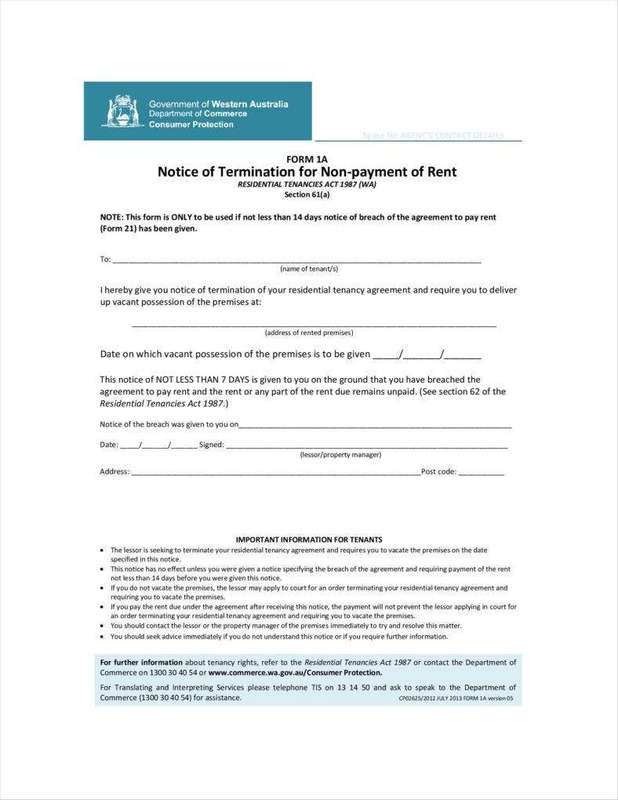 Bear in mind that a well-written and substantive lease termination letter can be a strong evidence in cases of legal complaints and conflicts questioning the validity of the lease termination. It is evident that writing an agreement termination letter is subject to technicalities. Since agreements are entered into willingly by the contracting parties, it is expected as part of public policies that they understand the degree and implications of their decision. With that, terminating the agreement is not an easy way out. The termination must be justified, reasonable and lawful. In line with that, here are important considerations to take note of before and during the actual drafting of the letter. Come up with a sound system of documentation. It is an established principle of law that the one who alleges has the burden of proof of proving his or her claims. Documentation plays a key role in ensuring that you have sufficient evidence to prove your stand. 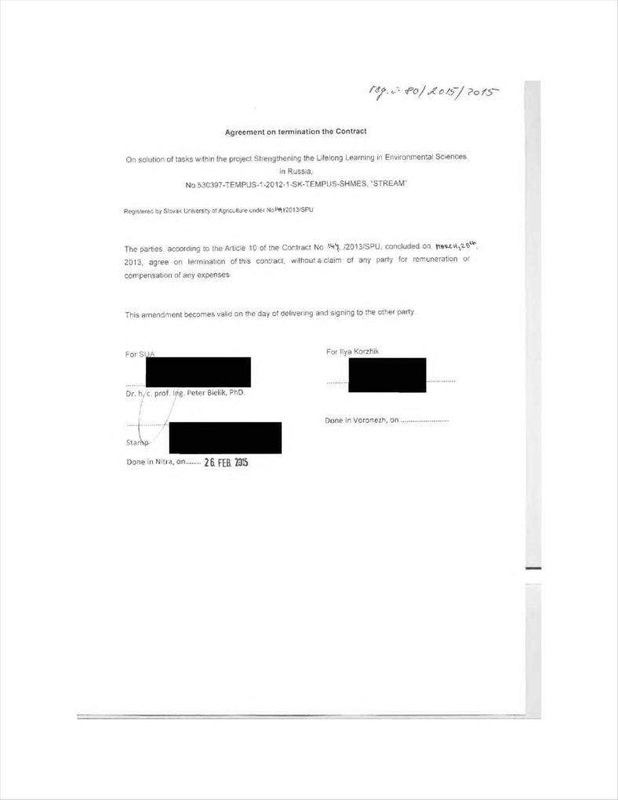 In the course of the agreement’s implementation, it is common practice that there will be exchanges of documents, letters, and other transactions. Make sure that you document every relevant processes or transactions. 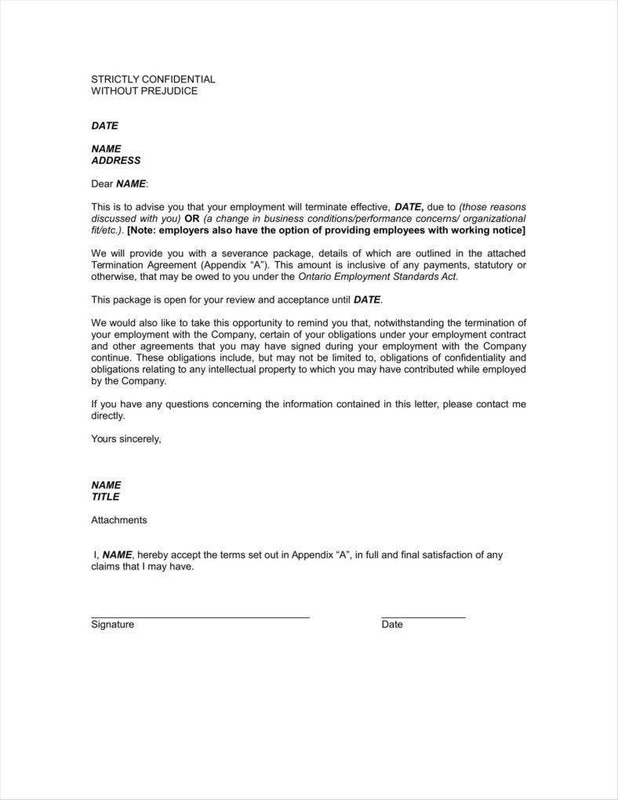 You should take note of receipts, notices and warning letters, and other documentary evidence that can help prove the ground for termination that you cited and addressed in your letter. Ensure that you complied with the procedural requirements. Since termination letters can affect the rights of individuals and entities protected under the law, you should put much consideration in complying with the procedural requirements. In dealing with lease agreements, for instance, the lessor is required to provide due notice to the lesser such as the 30 day notice period or other stated period sanctioned by law. For employment contracts, employers are required to provide warning notices and letters and even administrative hearings in order to give the employee the due process the latter deserves. There is no short-cut when it comes to termination letters. Most agreements have a termination clauses which provide key guidelines in terminating an agreement. The parties can agree on this grounds and procedures for them to act accordingly when the need to terminate arises. The termination clause may include the grounds for termination, the legal and substantive procedures, and the reasonable fees, if there are any. Going back to the basic principles governing an agreement, it is voluntarily entered into by the parties and a product of extensive negotiations. Same of terminating an agreement, the parties can openly discuss the terms of the termination and decide to mutually end the agreement especially if such is no longer serving its purpose nor favorable to them. 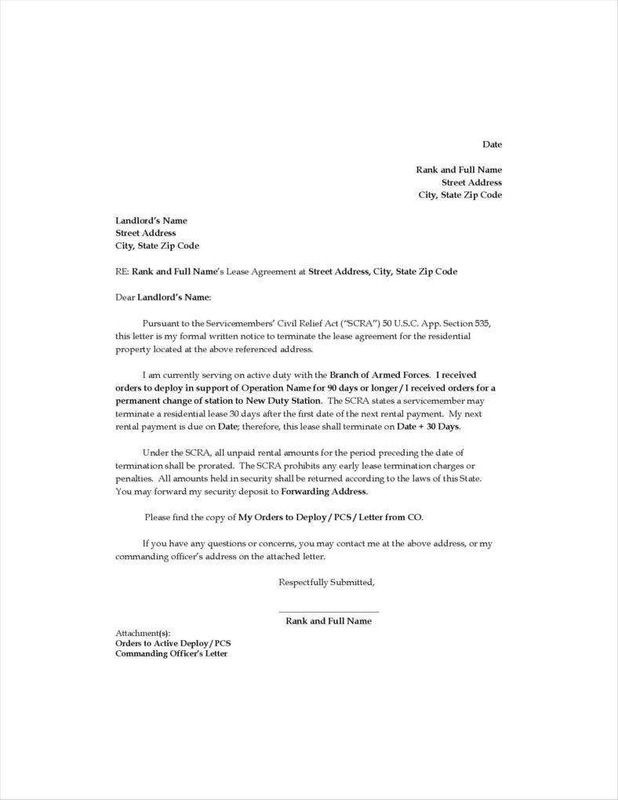 If the basis for terminating an agreement is a breach of the stipulations or provisions of the agreement by one of contracting party, it is advisable that the party not at fault to clearly cite that alleged breach in the letter. 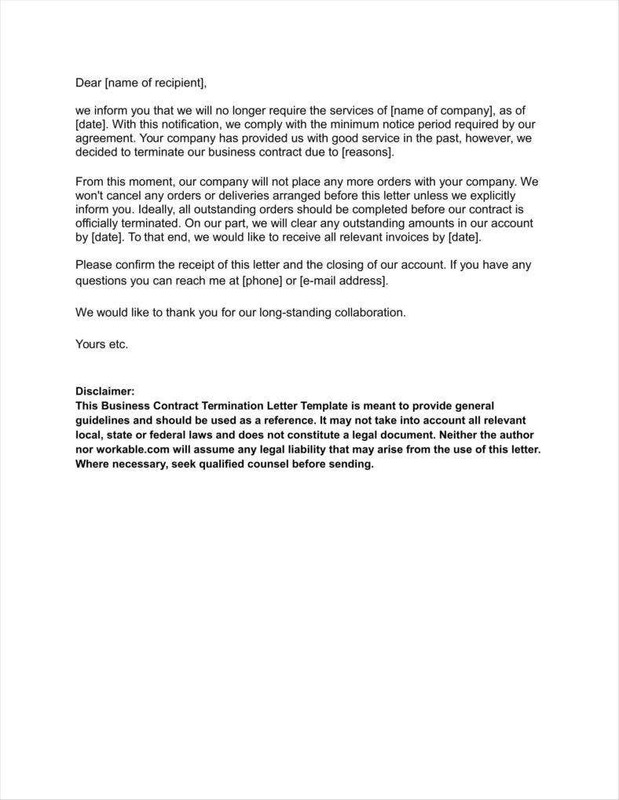 If you decide to terminate the agreement, you should create a causal link of the said breach and how it can put your business or personal interests in danger and detriment. Indeed, regardless of the ground for termination, one should opt to legally terminate the agreement rather than putting justice into ones own hands. 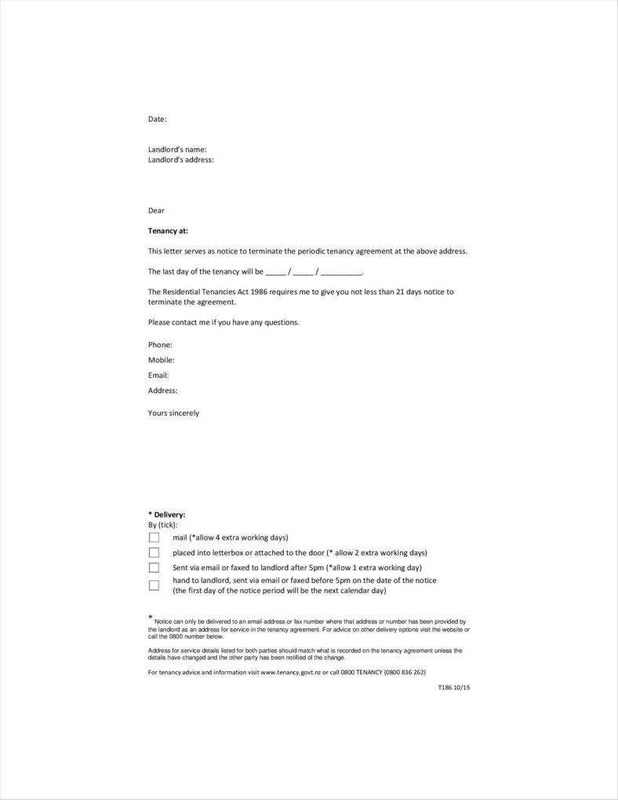 Bear in mind that an agreement termination letter is a channel for you to address your concerns and at the same time protect your business or personal interests. There is no hard and fast rule in writing the perfect agreement termination letter. However, they are not just ordinary letters or means of correspondence because a single mistake can trigger the commencement of legal actions or lawsuits. Here are some common mistakes that you can learn from in dealing with such letters. Other than the substantive components of the letter, the formatting dynamics also play a pivotal role. An informal letter can appear unprofessional on the recipient’s end. It is subject to unfavorable interpretations. Even if you’re about to deliver unfavorable news pertaining to the termination, always maintain a positive, professional, and formal standards and dispositions. Similar to contracts and agreements, letters must be written in a specific and concrete manner. You should directly emphasize the purpose and point of the letter. Making generalizations as to the reason for the termination can cause and bring about more complaints and doubt on the recipient’s end. Bear in mind that these type of letters are confidential and sensitive in nature because the details provided concerned the dealings and operations of both parties. 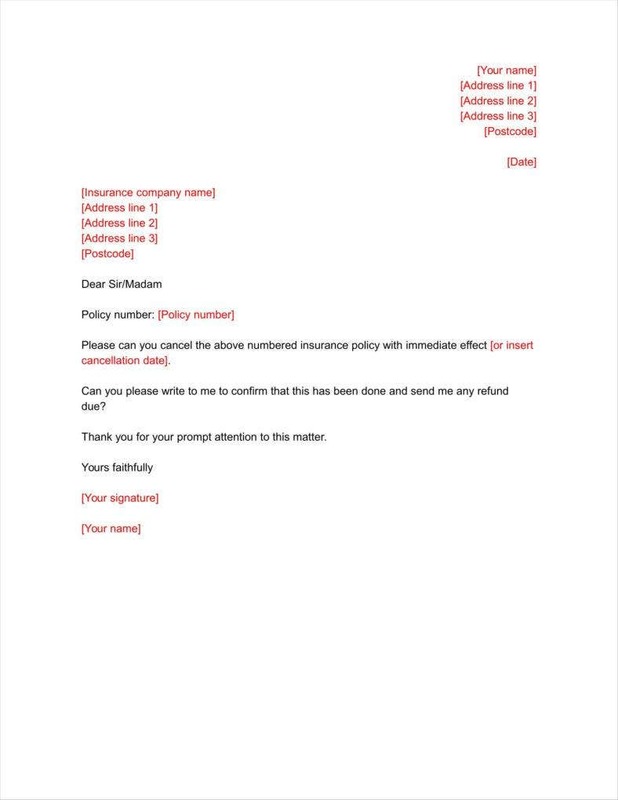 You can subject the other party to unnecessary embarrassment if you will erroneously send the letter to an unauthorized person or worse to a wrong person or company. 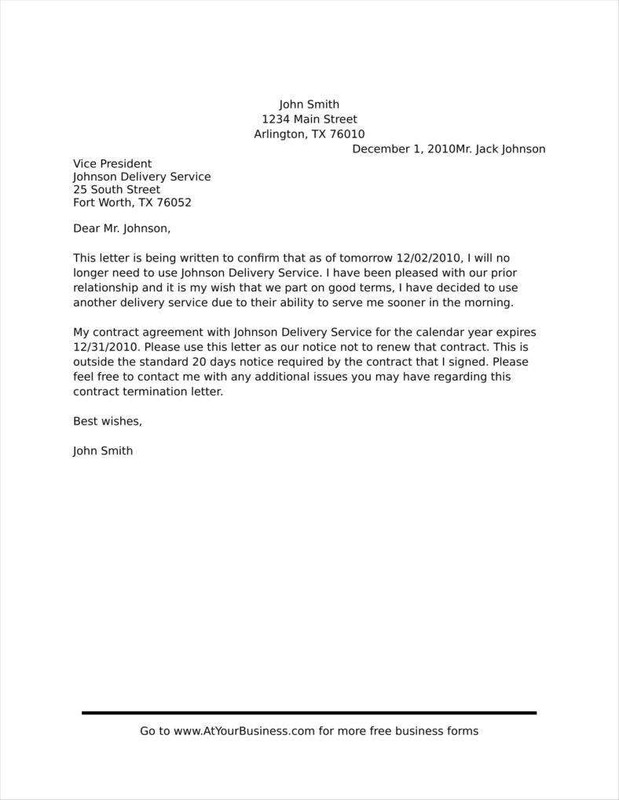 Ensure to verify the information embedded in your letter. These are some common mistakes that you should learn from and avoid. Even if we’re not expected to act perfectly all the time, we are required to exercise a certain degree of diligence in the performance of our tasks. Gross negligence is never excused. Don’t use an aggressive nor an argumentative tone. In preparing a termination letter, it is sometimes tempting on the part of the writer to include offensive and strong words. It could be because of the unlawful actions committed by the other party or the damages brought about by such actions. However, always control and compose yourself. The letter must be neutral and professionally written. Shy away from argumentative statements because there are other appropriate forum for that. 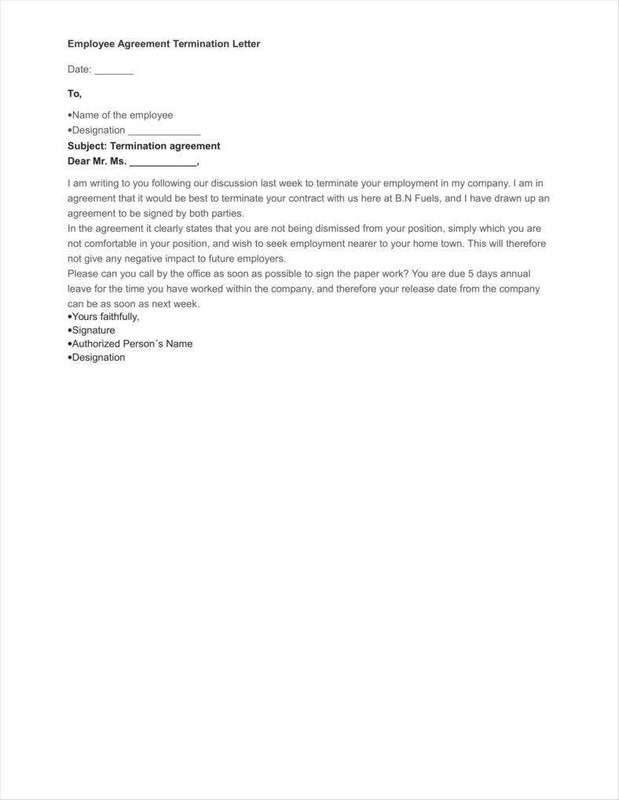 As much as possible, stick to the important details behind the termination letter. Your duty is to notify, disclose, and inform. To ensure that the letter is free from spelling errors and grammar mistakes, proofread and check the contents of your letter multiple times. Seek for a legal advice or opinion, if necessary. If you’re not sure with the cited ground or the overall contents of your letter, it is highly advisable that you seek legal advises from legal experts and professionals. This is to ensure that you present your side logically and consistently. 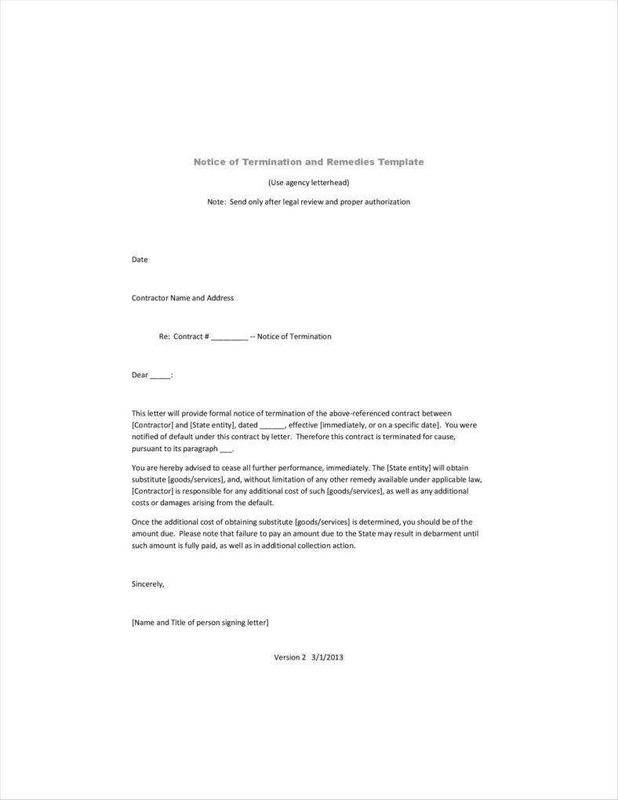 Hence, agreement termination letters involve serious and relevant matters. The letter can be used against you if not written with due care and vigilance.